San Francisco will get a taste of queer India this week as LGBT South Asians descend on the gay mecca for the fourth DesiQ Conference on July 4 – 6. U.S. Indian power queers Gautam Raghavan and Mira Patel along with Urvashi Vaid and Surina Khan will be the highlight of the fourth DesiQ Conference in San Francisco. Started in 1994, DesiQ brings together LGBT South Asians every five to seven years, say organizers. Starting Thursday, more than 200 LGBT South Asians, including attendees and presenters, are expected to gather from around the world, double the attendance of the last conference in 2006, say organizers. People are coming from India, Sri Lanka, Nepal, and other South Asian countries. They will be joined by Desi queers from Canada and around the U.S. to discuss LGBT issues and the future of the queer South Asian movement at the University of California, San Francisco. “The purpose of [DesiQ] is to show people that they have community and that we can build strong coalition to support one another and the causes that are important to us,” says Poonam Kapur, a volunteer on the marketing and steering committee of DesiQ, whose first conference was in 2006. Gautam, a 31-year-old gay man, who is a public engagement advisor at the White House’s public engagement office and regularly advises the President on queer issues as the LGBT liaison, agrees. Seven years has brought many changes. In 2009, the Delhi High Court invalidated Section 377, a law from British rule that banned homosexuality. Since then there has been an emerging acceptance of LGBT individuals in some parts of India and Indian families around the world and India is chasing the pink dollar, according to queer Indians who spoke on a panel discussion in 2011. In the U.S., queer Indians have had a major impact on the global LGBT movement within the State Department and President Barack Obama’s administration. Gautam, who will open the conference on July 4, plans to highlight the work that is left to do in the LGBT movement in the U.S. and South Asia and the “the important role LGBT South Asian Americans can play,” he writes. “We have lots of work left to do to ensure our communities are safe and free from discrimination in our homes, places of worship, and in the workplace,” says Gautam. Mira, special adviser on the Secretary of State’s policy planning staff at the State Department, was instrumental in former Secretary of State Hillary Clinton’s historic United Nation’s speech that empowered queers worldwide with, “Gay rights are human rights,” speech and was a key player launching the State Department’s Global Equality Fund in 2011. Mira, a gay woman, will speak at the gala on July 6. At Saturday’s gala, Urvashi will be honored with an award and Surina will accept an award on behalf of the Ford Foundation. Urvashi, a longtime activist, attorney and author, will be honored with a Pink Peacock Award for her three decades of work toward equality for LGBT South Asians, in particular Trikone, and the wider queer community. 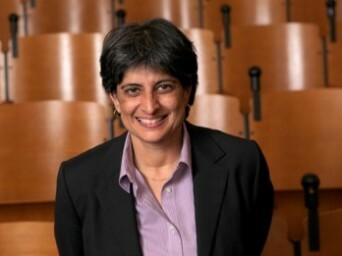 Surina, the director of gender rights and equality of the Ford Foundation, who is also a longtime activist for LGBT rights in the South Asian community, will accept the Community Partner Award on behalf of Ford Foundation. The foundation has been a longtime funder of LGBT rights, in particular in India and other South Asian countries. Los Angeles-based performer D’Lo will emcee the gala and New York-based DJ Rekha will spin the Bhangra. For nearly 20 years, DesiQ has been a source of activism and life changing experiences and friendships, say organizers. Mads, a 40-year-old lesbian, agrees, adding that when she first discovered DesiQ and Trikone in 2000 she was new to the U.S., just coming out discovering herself and searching for community. More than a decade later, she has strong friendships that were made during her first DesiQ Conference. Thirteen years later, the second wave of leaders, like Mads, and the movement has matured and this year’s conference reflects that change. This year’s conference will feature three tracks hosting more than 30 panel discussions. The first track focuses on welcoming a new generation of Desi queer activists exploring coming out and creating community; the second track focuses on building a sustainable and global movement and personal health and well-being to marriage and creating families; and a third track will focus on South Asian queer arts and literature. The conference will end with a Gala in Oakland. Getting serious, she points out that having a party allows people who aren’t interested in attending the conference to mingle and socialize with activists and to celebrate community leaders. DesiQ is coordinated by a core group of nine members of Trikone, the oldest LGBT South Asian organization in the world that is based in the San Francisco Bay Area, with an estimated $100,000 operating budget, says Mads. An estimated additional 20 volunteers will be working at the conference. The conference is funded by the Arcus, Gill and Ford foundations with support from Gay Asian Pacific Alliance Foundation, Kaiser Permanente Pride, Boston Masala, KhushDC, SALGA-NYC, Satrang and Dr. Robert Owen at UCSF. The conference is located at UCSF’s Mission Bay Campus, 600 16th St., San Francisco. Onsite registration for single day and full conference passes are available starting at $100 to $200. Student passes are available for $100. The Gala is located at the Scottish Rite Center in Oakland, 1547 Lakeside Dr., Oakland. Tickets are $75 online (until midnight on July 5) and at the door $100. To volunteer or get more information, visit DesiQ.org or Trikone.org. Posted July 5th, 2013 & filed under News. Recent violence a ‘backlash’ to wider support for LGBTQ rights?